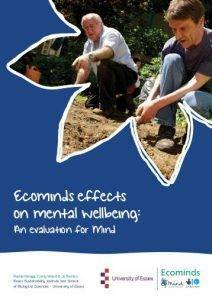 The Evidence | why is wellbeing and mental health important? It’s perhaps surprising why there’s so much stigma surrounding mental wellbeing issues. Mental un-wellness affects people from all walks of life and its effects are widespread – and on the increase! Stress, depression and anxiety are common illnesses likely to affect each and every one of us in some way during our lifetime, either directly or through someone close to us. It’s nothing to be ashamed about and something we’re thankfully starting to talk more openly about. Below are some statistics about how mental health and wellbeing in general affects us as individuals, communities and workplaces. The numbers are surprising. 1 in 4 people will experience some kind of mental health problem in the course of any one year (Mental Health Foundation). Between 8% and 12% of the population experience depression in any one year. The World Health Organisation forecasts that by 2020 depression will be the second leading contributor to the global burden of disease. People with poor physical health are at higher risk of experiencing common mental health problems and people with mental health problems are more likely to have poor physical health. It’s estimated that the annual cost of health inequalities is between £36 billion to £40 billion through lost taxes, welfare payments and costs to the NHS (Marmot Report, 2010). The Confederation of British Industry estimates that annual sickness costs are £495 per employee – and other studies believe that the costs of poor performance at work due to poor wellbeing could be up to seven times higher (Main, Glozier and Wright, 2005). 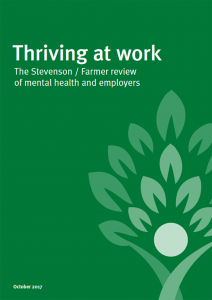 The first study in the UK to measure wellbeing (NEF, 2008) estimated that only 14% of the population has a high level of ‘flourishing’ wellbeing, with a similar 14% with ‘very low wellbeing’. If we were all flourishing, we would see a huge reduction in preventable illnesses which would be a huge boost to the economy. The cost of ill health to the UK economy is around £100 billion a year. This is equivalent to running another NHS. ‘Presenteeism’ costs (being at work but not really working) are estimated to be twice the number of absent days lost from the business bottom line. Publications | where’s the evidence? 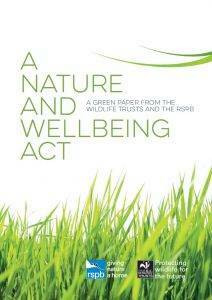 Vitamin Nature | why is green space important to wellbeing? The ‘Biophilia Hypothesis’ suggest that humans are innately attracted to nature and this makes sense as our ancestors evolved from nature and have always lived within close proximity to nature. There is anecdotal and qualitative evidence that demonstrates that humans are indeed innately attracted and need to seek positive connections with nature. 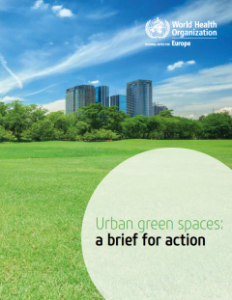 Surveys indicate that 91% of people report using parks and green spaces to some extent. In England, 42% of people indicated use of green spaces and parks at least once a week. Surveys (by MORI for CABE) found that 91% of the public believe that public parks and open spaces improve people’s quality of life. In the same surveys 74% believed that parks and open spaces are important to health, including both mental and physical wellbeing. The value of green space for physical exercise is unquestionable and quality green spaces do encourage people to make their shorter journeys on foot or by bike. Regular physical exercise helps prevent and manage of over 20 conditions including coronary heart disease, diabetes, certain types of cancer and obesity. 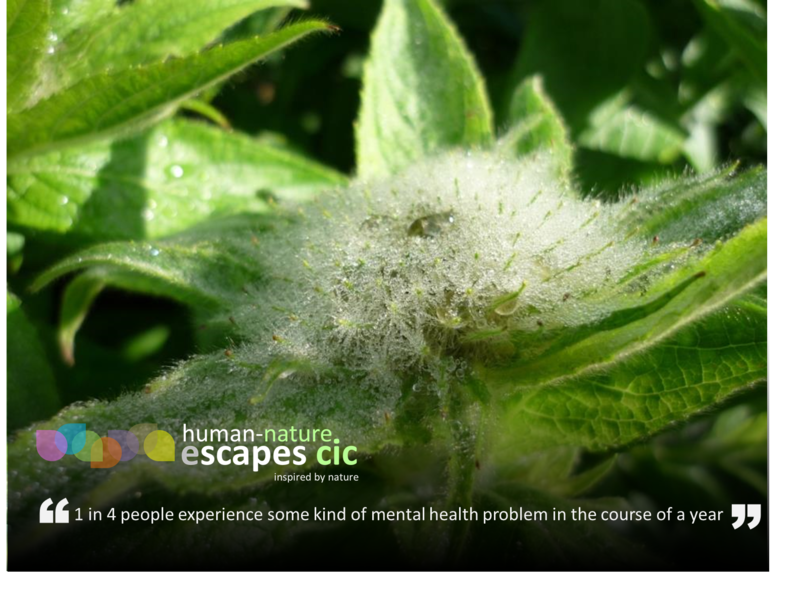 Access to green spaces positively impacts on mental health. Our responses to nature include increased feelings of pleasure and a reduction in anxiety. Moderate levels of activity are as successful in treating depression as medication. Children with access to safe green space are more likely to be physically active and less likely to be overweight. Outdoor play encourages healthy brain development and promotion of healthy well being through adulthood. Less children play outdoors nowadays in green spaces than in previous generations. Modern day living, urbanisation and ever increasing use of technology is isolating our current generation of children from nature and will be causing them a nature deficiency.